I was very pleased to find this email in my inbox recently and thought it would be good to share with those who may be interested or inspired to repeat a similar venture. “I just wanted to tell you that you have created a fantastic website that is an inspiration to anyone interested in the ISDT. 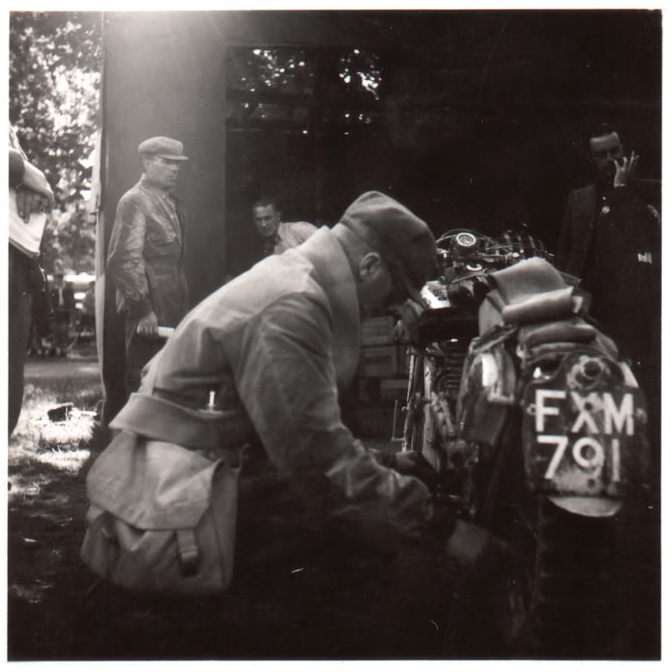 Having studied your site myself and 2 friends have decided to go to Salzburg in July with our vintage motorcycles to follow some of the routes used in the 1939 ISDT. I am hoping to take some before and after photos of our trip. I thought you might be interested in a copy of the spreadsheet I have put together recording riders, motorcycles and registration numbers of the motorcyles they used. “Last weekend I went to visit the current owner of Les Sheehan’s 1954 AJS ISDT twin which is still in near-original condition. I had my 1955 machine with me and I have a photograph of both which I’d put up here but I can’t see a way to attach a photo to this comment. After seeing the owner I also went to visit Les Sheehan who lives nearby. There can’t be many ISDT riders of the ’50s left. 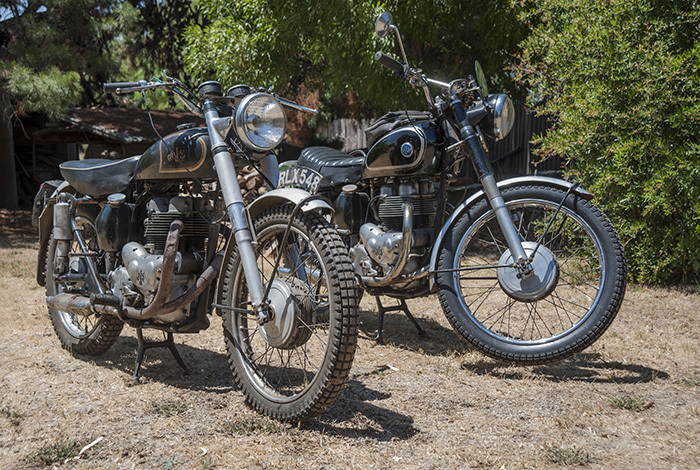 This amazing unexpected coincidence has not only revealed two of the ex ISDT AJS bikes from the mid fifties finally gave up the damp cold and emigrated to enjoy a happy retirement riding on the warm dusty trails of the outback of Australia but one of their riders, Les Sheehan, remains alive and well and living nearby… a heart warming tale for what is today a snowy day in North Wales. I for one must say to be able to wake up then start up either of those bikes and go out on a ride sans rain, cold, or barbour jacket under blue skies must make Patrick one of the luckiest persons I have ever come across. Here’s to hundreds of more miles of good riding to come Partick. As we do not have any pictures of Les on the site, having looked him up on Google there was not much available but a request on an Australian Motorcycle site by his daughter Marilyn Quirk indicates he was the Western Australia Scrambles champ in 1956 so he must have emigrated shortly after the time of his ISDT appearance. 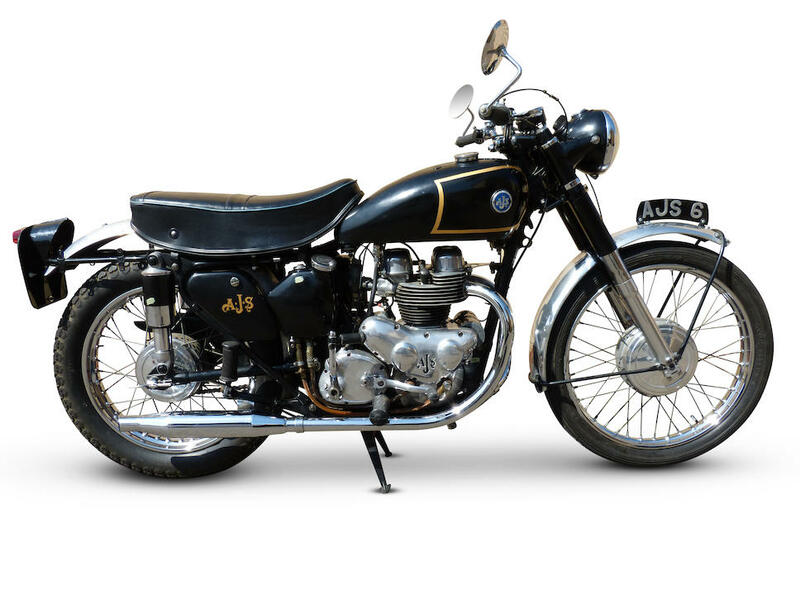 I would be grateful for any offers of images of him and especially on this AJS.